and retrograde motions of the planets. were described mathematically by a set of perfect spheres. Each planet circles in an epicycle. Each epicycle circles in a deferent. Ptolemy, Ptolemy, not those Ptolemys. who made himself pharaoh in 323 BCE. and was not a pharaoh. to match the one on astronomy. Ptolemy, like Aristotle, deduced natural science from first principles. All orbits were circular because the circle is the most perfect geometric figure. 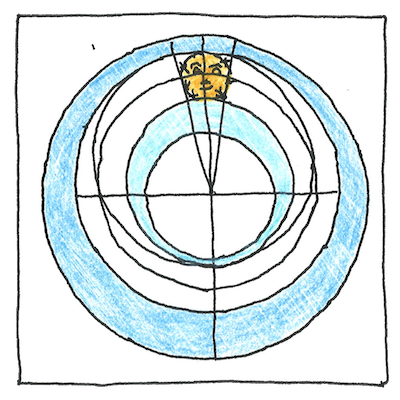 Unlike Aristotle, Ptolemy tried to adjust the model to fit the observations.